Good morning. It's Wednesday, Dec. 19. • A Fresno woman is charged in her daughter's train death. • Ten restaurants that have become part of L.A.'s history. • And sleepy Morro Bay comes alive with a rumpus of bird life. An L.A. Times analysis of wildfire hazard across California found that hundreds of communities from Redding to San Diego occupy zones at high risk of deadly wildfires like those in Paradise and Malibu last month. (A searchable map lets you see your risk.) "It's so frustrating," a fire scientist said. "Everybody sees the information, and they sit on their thumbs and talk." How many shootings have there been in your neighborhood? The data journalists at The Trace created an eye-opening interactive map depicting gun incidents in California and across the nation since 2014. Oakland and Stockton have been among the most violent cities in the state. Anyone applying for a California driver's license will be allowed to choose one of three options for their gender: male, female, or nonbinary. That's one of a number of new laws — affecting guns, wages, pets, and more — set to go into effect on Jan. 1. 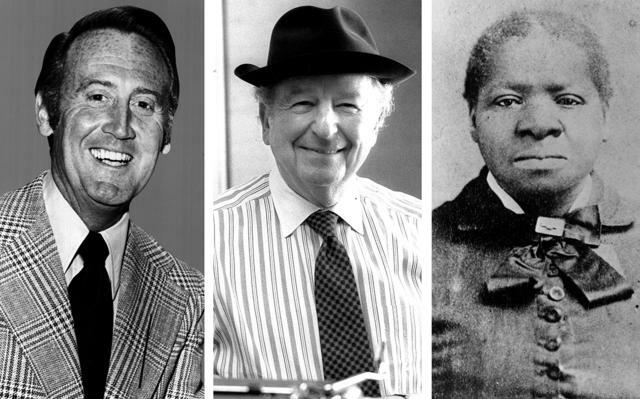 Vin Scully, Herb Caen, and Biddy Mason haven't made the cut at California's Hall of Fame. The California Hall of Fame began in 2006 as a way to honor the state's most revered figures. Included are giants like John Muir, Joan Didion, and Earl Warren. But there are head-scratchers too — people such as Fernando Valenzuela, Maria Shriver, and Dr. Dre. All have remarkable achievements to their names, no doubt. But consider the roster of overlooked names: Herb Caen, Vin Scully, Marilyn Monroe, Jack London, Biddy Mason. It goes on. The choices seem to depend on a bit of gubernatorial whimsy, wrote A.G. Block at Capitol Weekly. Which might help explain one of this year's inductees: Nancy McFadden, late adviser to Gov. Jerry Brown. In a delicious feat of vigilante justice, a California man rigged a package to explode with glitter and a noxious spray then placed it on his porch and waited for a thief to steal it. Several took the bait, and since the package was also equipped with cameras, there's video of their horrified reactions. It had more than 20 million views on YouTube. 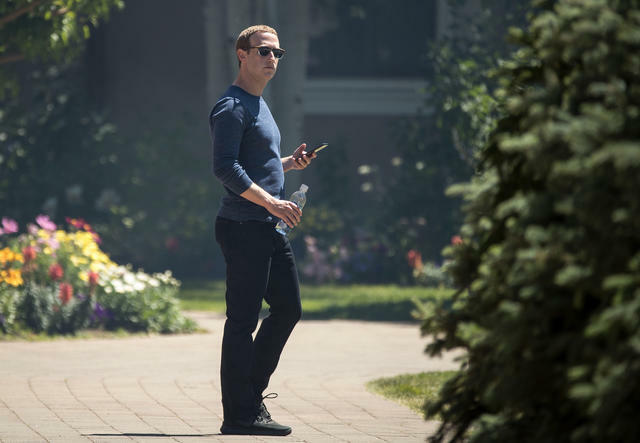 Mark Zuckerberg has said Facebook users have complete control over everything they share. • Spotify and Netflix could read users' private messages. • Amazon could get users' contact information via their friends. • And Microsoft could see the names of users' friends. According to the Fresno police, Joy Frances Collins was walking with her two children when they encountered an idling train. Wanting to reach the other side, she crossed under the train and ordered her kids to do the same. Her son, 9, did. But her daughter, 8, hesitated. "Hurry up," Collins shouted. As the girl tried to cross, the train lurched, killing her. Collins was charged with felony child neglect. 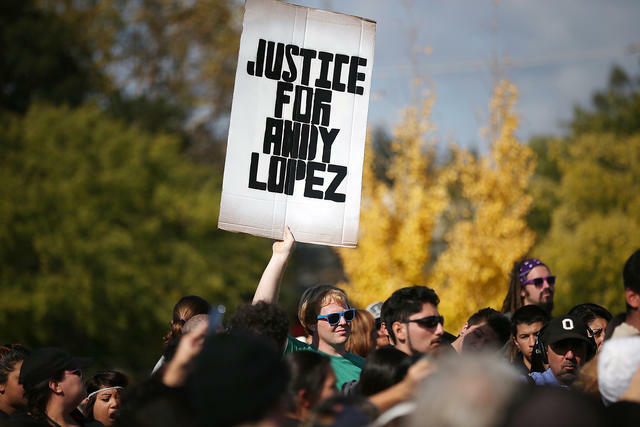 A protest was held over the killing of Andy Lopez in Santa Rosa in 2013. Sonoma County agreed to pay $3 million to settle a lawsuit filed by the parents of a 13-year-old Santa Rosa boy who was fatally shot in 2013 by a sheriff’s deputy who mistook the boy’s plastic gun for an assault rifle. The county sheriff apologized to the family, while also noting that the officer was cleared of criminal wrongdoing. "In the end, the sheriff's office and the county decided the best answer was to settle this case," he said. "Bottom line, a 13-year-old died." Ron Howard is filming a documentary about the Camp fire and the path to recovery over the next year. He was in Paradise last weekend to meet with locals and tour the destruction. "You have to see it to really believe it," he said. This is Manzanita Lake. 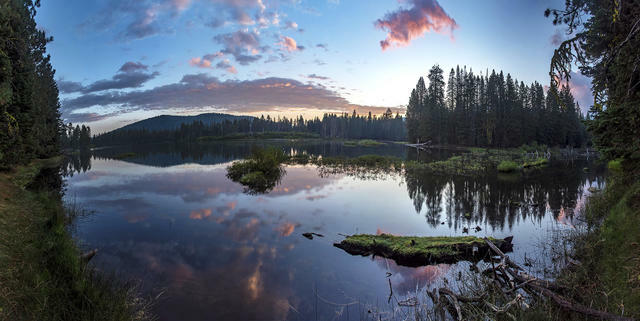 The natural gem is nestled within Lassen Volcanic National Park, California's secret Yellowstone. Attracting only a tenth of the annual visitors to Yosemite, Sunset Magazine has called it "the West's most beautiful, least visited wonderland." A campground near the lake was included in a ranking of the West's 10 best cabin campgrounds. 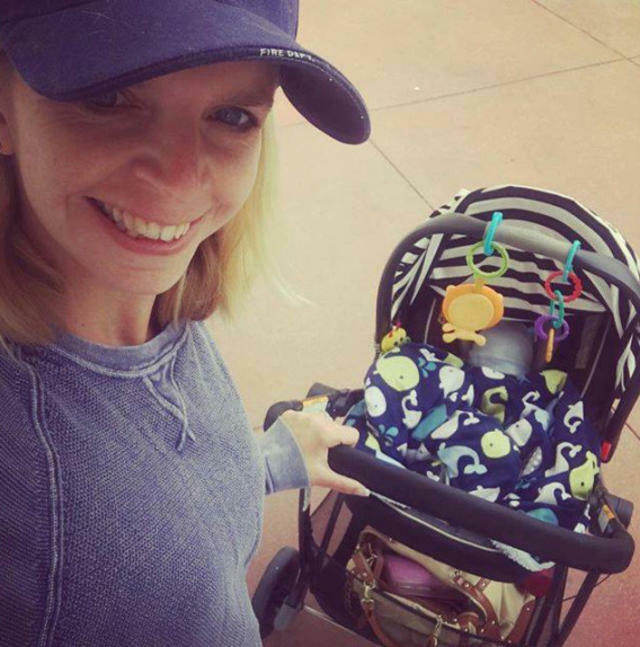 Ashley Bemis has been accused of scamming good Samaritans out of goods and cash. An Orange County woman was arrested over accusations that she made up a firefighter husband to scam people into giving her thousands of dollars in donations. The authorities said the ruse by Ashley Bemis, 28, unraveled when a fire captain grew suspicious of her solicitations on social media. Elon Musk unveiled the first test tunnel of the futuristic Loop system that he envisions solving Los Angeles's soul-crushing traffic. At the promotional event in the sleepy suburb of Hawthorne, riders drove through the tunnel — measuring 1.14 miles in length and 12 feet in diameter — at a modest top speed of 53 mph. Musk admitted spending $40 million of his own money on the project. "This is incredibly profound," he said. This is Mugu Rock, part of a promontory along the coast just north of Los Angeles. When engineers were plotting the route for Pacific Coast Highway in the early 1900s, the westernmost tip of the Santa Monica Mountains presented a colossal challenge. The rock was carved to form a narrow roadway that snaked along its outer edge. But after one too many cars plunged into the Pacific, the state escalated matters. 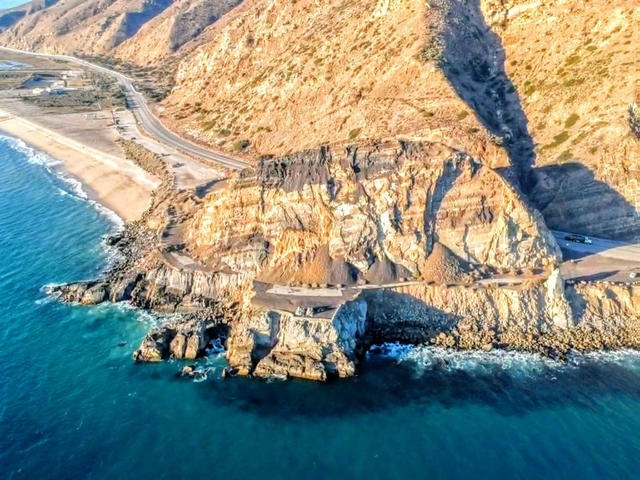 Using an arsenal of explosives, jackhammers, and bulldozers, they blasted directly through the barrier — 200 feet deep and 60 feet wide — to create a new roadway, leaving behind the nub now known as Mugu Rock. 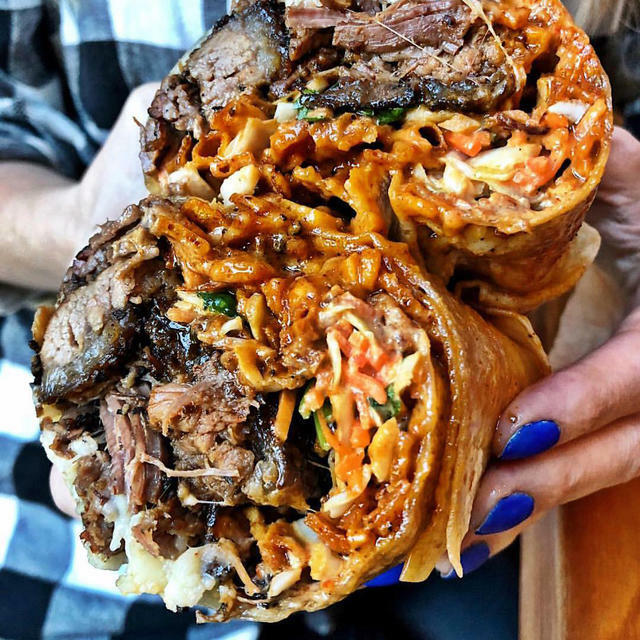 Burrito heaven by Border Grill in downtown Los Angeles. Some Los Angeles restaurants have outlasted trends to become a part of the city's history. At Border Grill, for example, the margaritas, tamales, and tacos "are L.A. on a plate," the L.A. Times wrote. The restaurant is included in a list of 10 classic restaurants in the city. 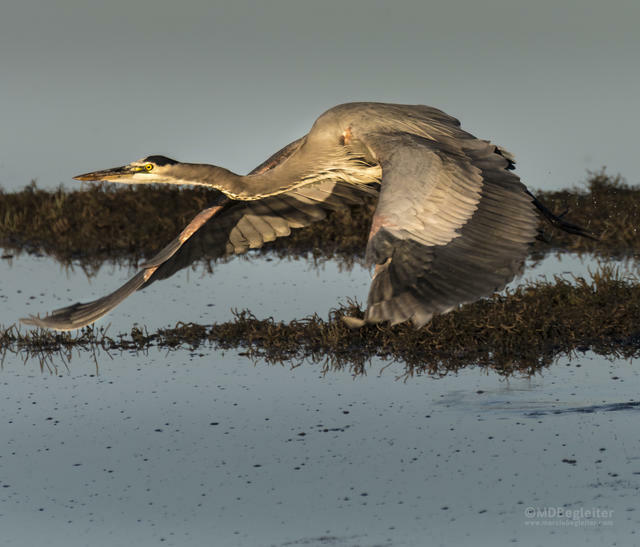 A great blue heron took flight at Morro Bay. Every winter, the sleepy village of Morro Bay on the Central Coast comes alive with a rumpus of thousands of birds that arrive from colder climes. A local photographer shared some gorgeous shots with us.